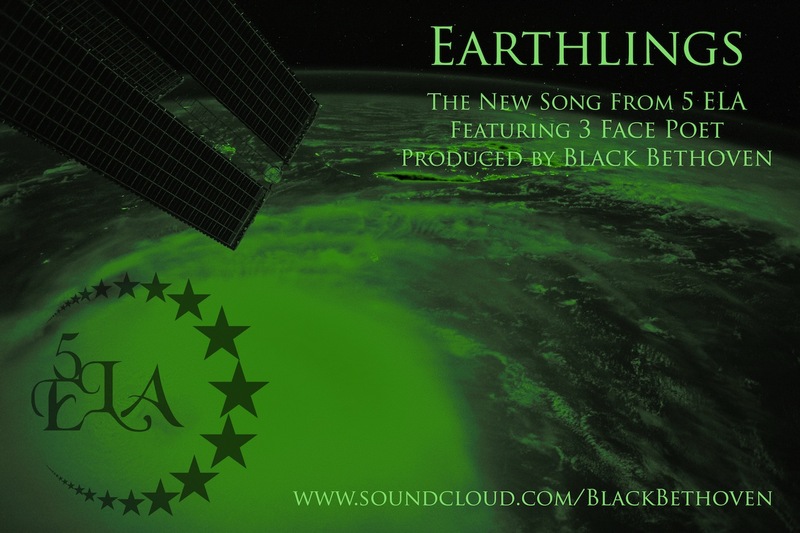 5 ELA interstellar hip hop masters have once again released a new song pushing the limits of the stratosphere, with producer Black Bethoven providing the soundscape for ‘Earthlings’, the new song from the upcoming ‘STARFLEET Official’ project, featuring 3 Face Poet. The lyrics of 5 ELA’s Thyme and Mudd display their adept knowledge of ancient spiritual practice, gifting the Black Bethoven production with classic Detroit hip hop style and an unforgettable feature from 3 Face Poet, who invokes the voices of the ancients for a message of enlightenment for all ‘Earthlings’. In support of their new album ‘Global Warming 2022’, 5 ELA have given the galaxy a rare look into their world with the release of all new episodes of their web series 5 ELAvision. 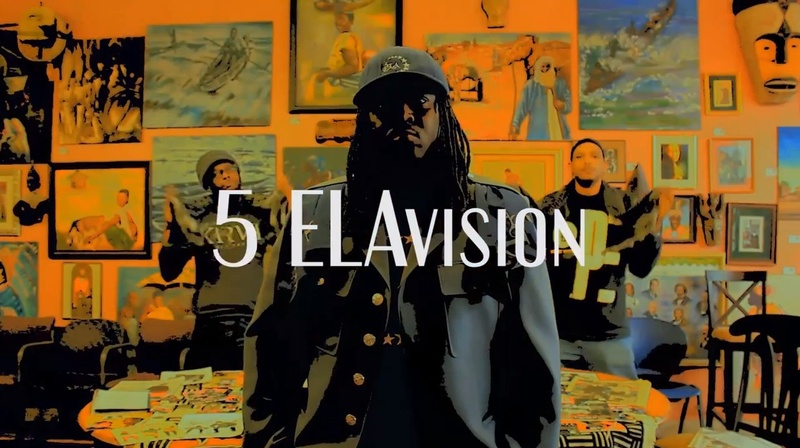 The new episodes of 5 ELAvision were created by Common Breath Media, and feature guests including Dj LaJedi, Black Bethoven, DJ Los, Vaine and more. Footage includes behind the scenes in the studio, live performances, seminars and interviews with members Thyme, Mudd and DJ Sicari. 5 ELA have released the new song “Wrath Of Jesus”, produced by Black Bethoven, as a prelude to their upcoming EP release ‘STARFLEET Official’. The track continues to push the bounds of their ‘GALAXY SOUND’ to epic heights, with lyrics stretching the bounds of the heart and the limits of the human potential for love. Since the release of the Black Bethoven album ‘Heat’ and their own album ‘Global Warming 2022’, 5 ELA have been on a mission to prove that their metaphysical lyrics over hard hitting future funk tracks is the future of hip hop, and as ordained ministers of the culture, “Wrath Of Jesus” is testimony to the ELAvation. Stay tuned to http://www.STARFLEETOfficial.com for more information about the upcoming release of the ‘STARFLEET Official’ EP. 5 ELA ‘Global Warming 2022’ is available now at www.the5elementz.com. 5 ELA sits down with filmmakers Annabel Park and Eric Byler of Story Of America for an exclusive interview to discuss the group’s history, their spiritual education and their perspective on race in America, urging that the human race has been artificially divided and that knowing their own history as Moorish Americans has given them a rare opportunity to follow the age-old directive of ‘Know Thy Self’. 5 ELA members Mudd and Thyme are joined in the interview by their spiritual mentor Al Hajj Amin Rasool, whose history as a spiritual student has led him to uncover many mysteries of the ancient teachings of the masters. In the early 1990s, he developed the spiritual organization The Order Of Divine Reality through his home in the Krainz Woods neighborhood of Detroit, with hundreds of young men and women coming to learn from him. Mudd and Thyme were among the first to come to his home and receive these lessons, along with their close friend and co-member of their group (then called 5 Elementz), the late Detroit emcee Proof.